This is a bit of a fake out. I don’t have a humongous readership, but I imagine a good update on what I’ve been up to, how my new job is going, or if any new performances are coming up is needed. Things have been well, and lots of cool and exciting projects are in the works. But this is not going to be one of those posts. Instead I want to provide you with a quick review of a piece of music that I purchased this week. Some buzz has been going around following several exciting episodes of a new podcast called Meet the Composer, hosted by viola badass Nadia Sirota. After putting it off I finally decided to give it a listen. 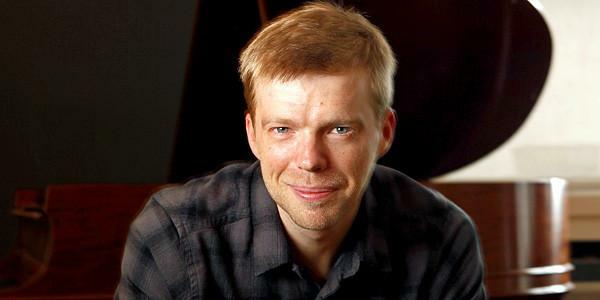 After an exciting couple of episodes featuring the music of John Luther Adams and Caroline Shaw, two composers I was very familiar with and whose work I admire, I decided to listen to the episode featuring the music of Andrew Norman. I had been somewhat familiar with some of his music, even including a link to his piece The Companion Guide to Rome in an earlier post. This episode of MTC resonated with me in a way that I haven’t experienced in quite a long time. Listening to the episode, I found myself grinning the entire time, as Norman and Sirota discussed processes, techniques, philosophies, and ideas that echoed almost every concern with which I had been wrestling. Norman’s delivery and excitement to talk shop was such a pleasure to listen to, as it easily could have been my inner voice talking to me. While I had some familiarity with his music, I hadn’t really given it much of a concentrated listen, so I downloaded the new yMusic album Balance Problems. Composers represented on the album include Andrew Norman, Nico Muhly, Sufjan Stevens, Timo Andres, Marcos Balter, among others. Sirota plays in the ensemble, and Norman has a piece called Music in Circles on the record, which is mixed and produced by another artist whose work I admire: Son Lux. A perfect storm for excellence. Truth be told, I haven’t listened to the album in its entirety. I haven’t been able to. Andrew Norman’s work on this release is one of those rare pieces that has stopped me in my tracks and made me rethink a few things. The last time I came across a work or sound like this was a few years back with Thomas Ades’ work, and before that when I first discovered Bang on a Can, and before that with Steven Mackey, Steve Reich, and John Adams. The point is, these experiences have often led to major shifts in my musical thinking, giving me a feeling that is both energized and inspired. It is these rare moments that thoughts like “I didn’t know you could do that” or “This changes everything” give me the jolt necessary to proceed. The following is just my impression of Norman’s writing, with only a little bit regarding yMusic and Son Lux’s contributions. Norman’s music displays a sense of clarity that makes what results sound so inevitable and effortless. Structures interact: instruments and sounds play off of each other in an incredibly logical, yet organic and natural way. Every sound is a response to something else. Responses in his music, like that found in spectral writing, act almost like acoustic echoes and anomalies within different size rooms at various distances between source and receiver, at a variety of dynamics and tempos. This is largely achieved by an extremely controlled use of extended techniques to create a very wide and super-effective spectrum of timbres. Despite this, the music has a well-balanced blend of conventional and unconventional sounds. The techniques never sound forced or off-putting. Like I’ve already mentioned, all sounds seem to come from the most obvious and intuitive of places. Norman has a unique harmonic palette. It is strikingly tonal in some areas, and jagged and dense in others. The tonal elements are created though a blend of modal and conventional tonal element. Sometimes the music is diatonic, and sometimes it is mixtures of pitch sets. All of this rides those often vague lines between multiple styles, genres, and periods: Is it Classical (with a capital “C”)? Romantic? Folk? Pop? Time floats. Rhythms flow, jut, pulse… Time is completely malleable in Norman’s hands. Seven minutes passes with the sensation that this music has always been present and has no real beginning or end. We are merely capturing a glimpse or snapshot of something already in progress. What holds this all together is that the music is very cinematic, with a narrative and arc that carries with it many potential visuals. It is obvious with only a single listen that this music is no accident. This is the work of a true master of his craft. After the nearly half-dozen listens I’ve given this in less than two days time, it is still fresh; there are still so many layers to penetrate. There is so much of this recording that is the result of a breath-taking composition, but this kind of music just requires that the performers really find the sound. yMusic absolutely nails the performance, bringing the gigantic array of sounds and ideas all to life in a way that erases the very thought of individuals playing instruments. Instead, all that we are hearing is just pure music at its finest, at the highest caliber. To capture it all requires an engineer and producer with finesse and a special sensitivity to what can be possible with the music. Son Lux’s production and sound world is stunning. The combination of composer, performers, and producer on this recording makes a work that is three-dimensional and truly remarkable. All I can really add to this now is just WOW! What a treat! Very Humbling. Here is a link to a video and interview that Alexandra Gardner conducted for New Music Box. Please check it out!